We wish to associate Simon Lipscombe with this performance. First submitted Saturday, 11 July 2015 at 20:32:50 by Ben Waller. 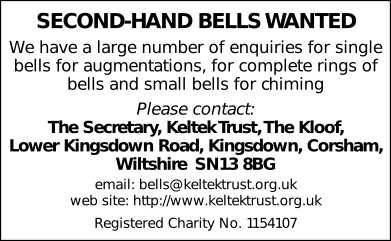 Sent for publication in The Ringing World on Saturday, 11 July 2015 at 20:40:30.